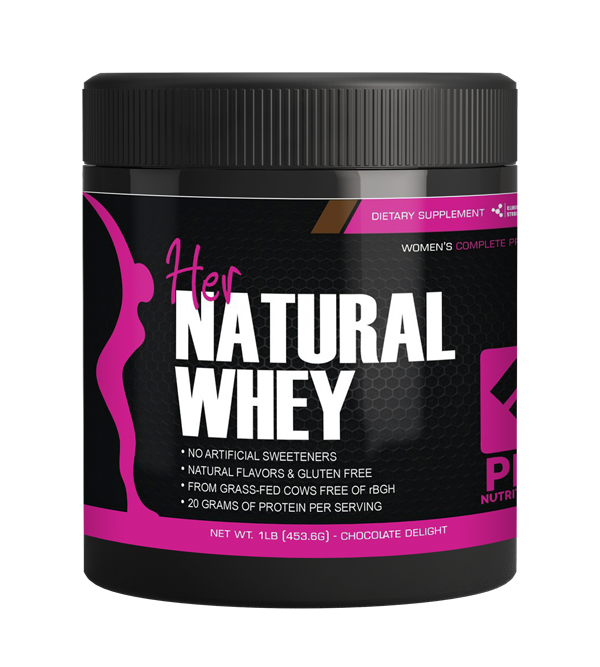 MADISON, WI, October 01, 2016 /24-7PressRelease/ — Pro Nutrition Labs, a provider of nutritional supplements, has released their new Her Natural Pre-Workout powder for women which delivers clean, smooth energy without the use of artificial sweeteners or harsh stimulants. It is widely known that pre-workout powders are a great way to increase energy and stamina for workouts. Pro Nutrition Labs has taken it a step further by creating a pre-workout powder that combines research backed ingredients, no artificial sweeteners, no harsh stimulants and is specifically formulated for the needs of women. Her Natural Pre-Workout was carefully formulated with 5 research backed ingredients to provide clean energy, decreased fatigue, and increased performance during workouts while aiding in recovery after workouts. In addition, there are no hidden ingredients or proprietary formulas. One thing you will not find in Her Natural Pre-Workout is harsh stimulants. Many women have avoided pre-workout powders in the past as they can cause jitters, nausea or hot/cold sweats shortly after taking them. Pro Nutrition Labs has combated this not using any harsh stimulants often found in pre-workout powders like caffeine, DMAA, and yohimbine. Pro Nutrition Labs is a privately held health and wellness company dedicated to providing nutritional supplements that are made from the highest quality ingredients without the use of artificial sweeteners.